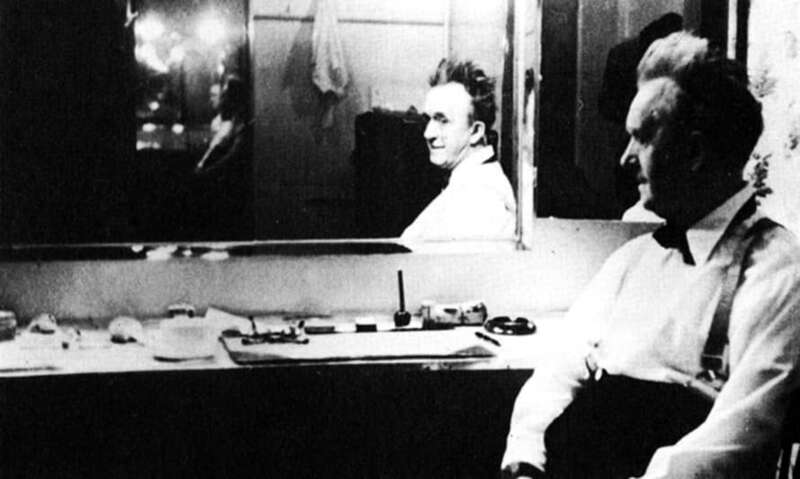 Sad, soulful image of Stan Laurel in his dressing room at the Birmingham Hippodrome, during a music hall tour in 1953. 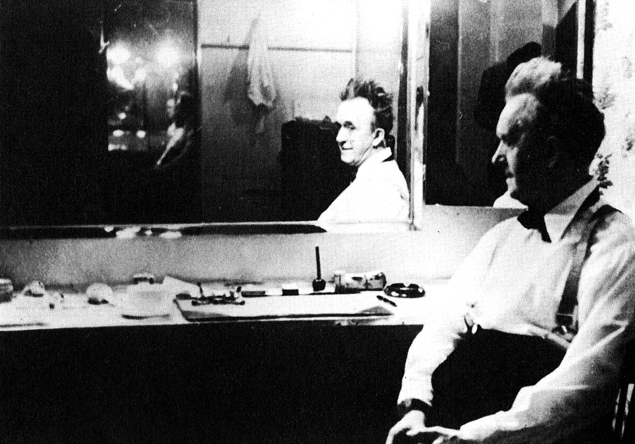 The photo was taken by fan John McCabe, who became the comic duo's first biographer and during their backstage conversations set the ball rolling for Sons of the Desert - the worldwide network of Laurel and Hardy devotees. All of this territory will be explored by John Ullah in his talk on Saturday at the Bartons Arms, and you'll also have a first chance to pick up a copy of This Is More Than I Can Stand, John's new book on Charlie Hall (see also: today's Birmingham Mail). 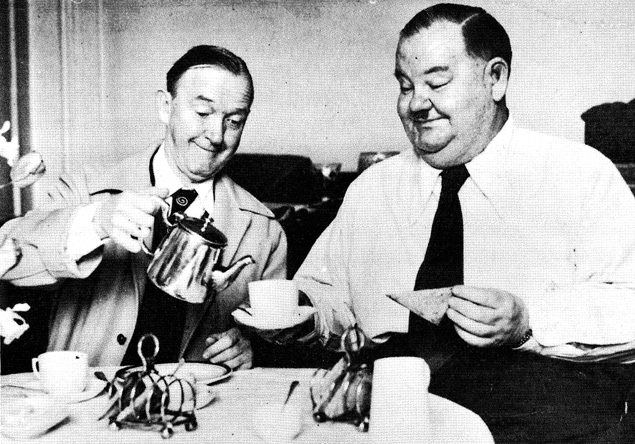 Below is a slightly more cheerful souvenir of the boys' 1947 Birmingham visit, taking tea at the Midland Hotel (now Burlington).